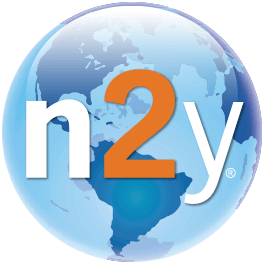 While Unique Learning System and News-2-You can be used separately, it is recommended to use the complete suite of n2y products. Each product serves a different purpose and can be connected with the other for a complete learning solution. Unique Learning System® is a rigorous, standards-based solution designed specifically for students with complex learning needs. Unique Learning System provides differentiated, standards-aligned content designed specifically to help individuals with complex learning needs access the general education curriculum. Users interact with differentiated, thematic units of study with text-to-speech capabilities, interactive components, hundreds of activities and multiple opportunities to show what they know. Unique Learning System is web-based and can be accessed anytime, anywhere. Learn more about Unique Learning System. News-2-You® is a weekly online newspaper subscription that connects students with the world around them through current topics. Working closely with the Associated Press, News-2-You topics are timely, contemporary and applicable in classrooms nationwide. With News-2-You, students engage in rich literacy and language instruction while learning about diverse current event topics. Lessons and experiences are extended through interactive symbol-supported articles, activities, games, guided practice opportunities and flexible means of expressing what they have learned. Learn more about News-2-You. SymbolStix PRIME™ is a web-based, symbol search engine that gives you access to the most complete and current symbol set available anywhere. With nearly 30,000 symbols in the library, you can create symbol-based language and learning materials for printing or speaking aloud online. The unprecedented changeable skin tone feature allows you to create representations that reflect multicultural classrooms and users. Learn more about SymbolStix PRIME. Unique Learning System and News-2-You are built around the same instructional targets which align with state and educational standards. Many of the materials possess the same format and have symbols to support learning materials. Both Unique Learning System and News-2-You use differentiated task levels to give suggested instructional strategies to include all levels of learners.